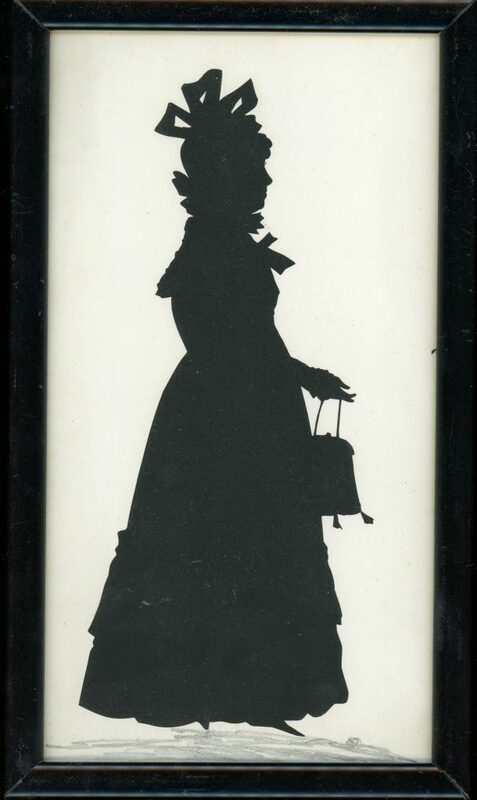 A pair of full-length cut silhouettes of a Welsh couple named Penry and Maria Williams. 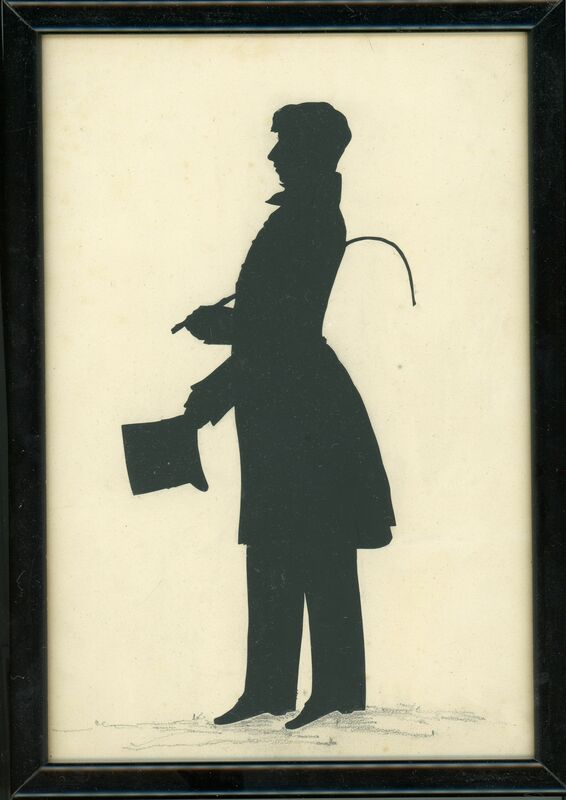 Wearing a frock coat and standing proudly, Penry is depicted holding a switch in one hand and his top hat in the other. Maria is wearing a dress with a flounced skirt and a broad collar tied at the neck, along with a hat elaborately trimmed with ribbons. In her hand she has a tasselled reticule. Penry Williams married Maria, the daughter of Samuel Yeates of Gloucester, in 1804. He was appointed High Sheriff of Breconshire and subsequently Lord Lieutenant. The family home was Penpont near Brecon. 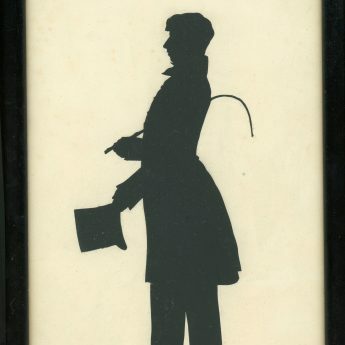 Silhouette artist John Gapp was based at Samson’s Royal Saloon on the Chain Pier in Brighton during the 1830s. So many of his full-length profiles are depicted holding an object, such as a purse or gloves, that this come to be recognised as a trait of his work. He modestly advertised “the most wonderful Likenesses, in which the expression of the Passions and peculiarity of Character are brought into action in a very superior style” and all for just 2s. 6d. !